June 3rd & 10th, 2018 : 2 pm to 6 pm. PASS : 16 € per person – 12 € in advance (on www.centreculturelandenne.be). Students under 26 years and groups (min 10 pers. ): 50% of the admission price | Child under 12 years old: free (*). 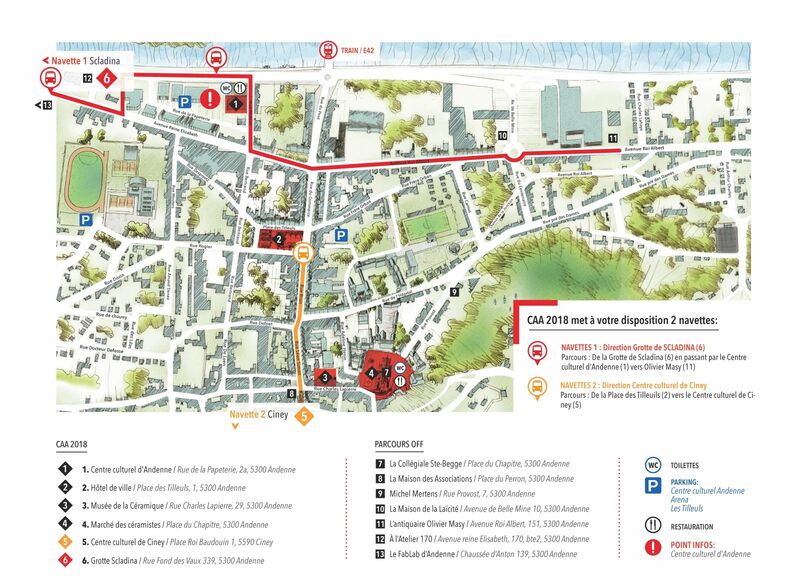 Access to the Ceramics Fair and the events organized on May 20th & 21st is free. 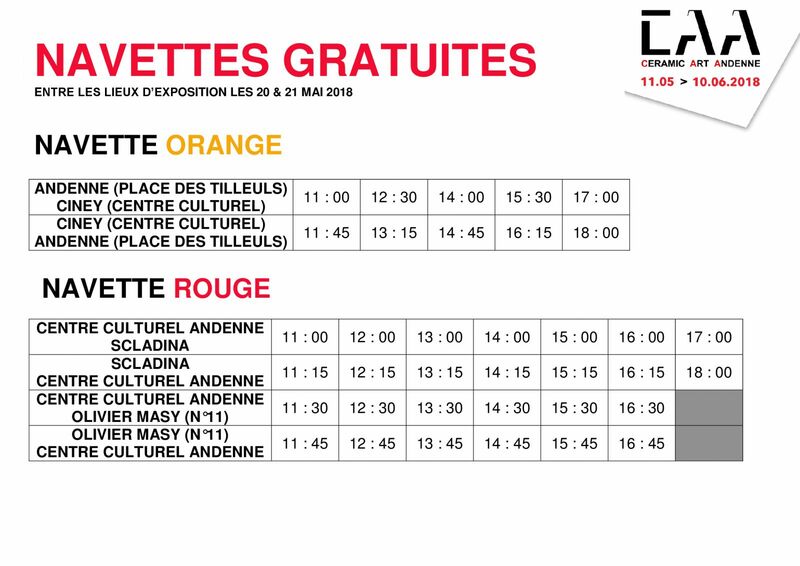 (*) Prizes for different exhibitions without a PASS: Cultural centre of Andenne: 8 €; Hôtel de Ville: 8 €; Scladina: 8 €; Ceramics Museum: 5 €; Cultural centre of Ciney: free. At the Cultural centre of Andenne : 1h30. Prizes: entry or pass + 2 €/pers. Guided tours for groups (min. 10 pers.) on request. This PASS gives access to the paying exhibitions (*) of Ceramic Art Andenne 2018 only once but is not limited in time. It must be validated by a stamp at the entrance of each exhibition place. If you buy this PASS in advance via this website: it must be activated at the Cultural centre of Andenne before any other visit. 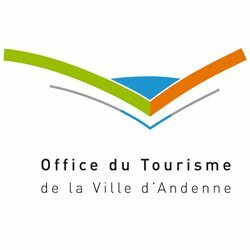 (*) Paying exhibitions: At the Cultural centre of Andenne, at the Town Hall of Andenne, at the Ceramics Museum and at Scladina Cave.